Please do get in touch with us on the details below, or fill in the form to send us a message and we will get back to you as soon as possible. – TURN RIGHT here. 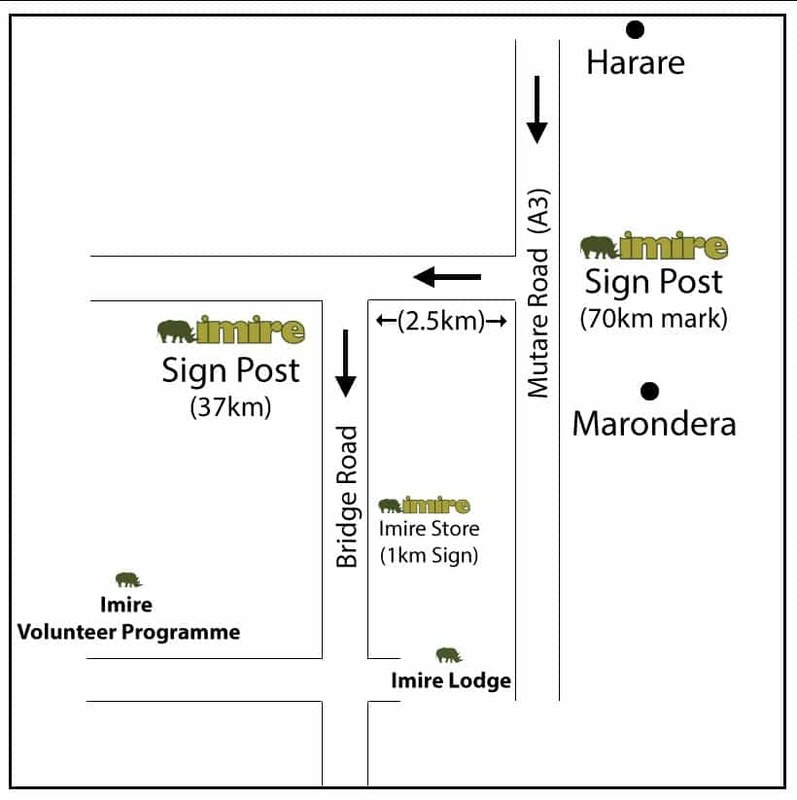 Travel down this road 3km & you will see another Imire sign on the left hand side of the road – TURN LEFT here. Travel down this road 37km & you will go past the Imire store and butchery on the left. About 800m further on you will see the main Sable Lodge sign, TURN left into the game park & the lodge is approximately 1km further on. The road is tarred the whole way until you enter the game park.